This Pressure Cooker Pumpkin Cheesecake is the best of both worlds: cheesecake and pumpkin pie! Plus, it's easy and fool-proof in your pressure cooker or Instant Pot. Pumpkin cheesecake is such a good mash-up of favorites. I love cheesecake and pumpkin pie, but I love this combination even more. The tangy cream cheese cuts the sweetness of the pumpkin, brown sugar, and warming spices, and the graham cracker and pecan crust has just enough salt to make all of the flavors pop. A pecan-speckled crust, not-too-sweet pumpkin filling, and boozy whipped-cream topping made this cheesecake the favorite dessert at my family’s Thanksgiving dinner last year! I’ll be making it every year now, in my Instant Pot, while the rest of the kitchen is in serious holiday mode. WHY MAKE CHEESECAKE IN THE PRESSURE COOKER? Made in a pressure cooker, cheesecakes never dry out, crack, or come out underdone in the middle. I love the consistency of cooking them this way, and I don’t think I’ll ever go back to oven-baked versions. For a 6-quart electric pressure cooker, you’ll need a 7-inch pan, as anything larger won’t fit in the pot. This makes a cute little cheesecake, yielding eight wedges that really are plenty of dessert after a big holiday meal. My favorite pan for making cheesecakes has a removable bottom, and it’s tall enough that I can cover the cheesecake with foil to prevent any condensation from dripping down onto it. A springform pan works too, though you’ll have to leave it uncovered, then dab off a bit more moisture once the cheesecake is cooked. Use whichever kind of pan you prefer. 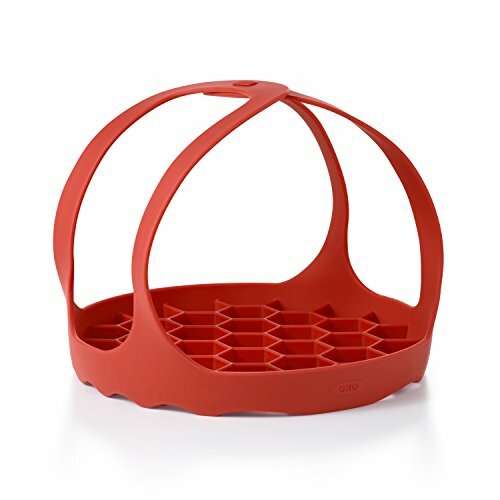 One other special piece of equipment I like to use for my pressure cooker cheesecakes is a long-handled silicone steam rack. 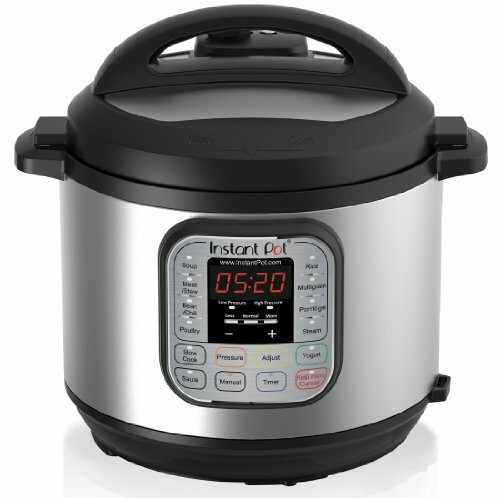 The OXO® brand one is my favorite (they call it a Silicone Pressure Cooker Lifter). Its handles are long enough to fold up and over the pan, and they snap together for easy lowering and lifting. It also performs the function of a steam rack, since it’s tall enough that the cheesecake pan sits above the water while it’s in the pot. You’ll also want to have the wire metal steam rack inside the pot, so that the cheesecake sits above the water. When you make this cheesecake, be sure to prepare it a day ahead so it has at least 12 hours to firm up and chill in the fridge. You’ll be rewarded with a silky smooth texture, and the spices will have a chance to meld with the pumpkin filling. It’s worth the wait! The topping for this cheesecake topping is super simple. Rather than do a complicated glaze or ganache, I make up a little batch of whipped cream, which only takes a couple minutes to come together. You can whip your cream in a stand mixer, with an electric hand mixer, or with a whisk (and a lot of elbow grease!). A splash of bourbon and a little bit of powdered sugar make it boozy and just sweet enough. Feel free to add a little more sugar if you like your whipped cream on the sweeter side. MORE CHEESECAKE RECIPES TO ENJOY! For Stovetop Pressure Cookers: Make the crust and filling, then assemble the cheesecake as directed below, placing it on a steam rack. Pour 1 1/2 cups of water into the pressure cooker, lower the cheesecake inside the pot, place the lid on in its sealed position, and cook at high pressure for 27 minutes. Let the pressure release naturally completely before opening the pot, then refrigerate and serve as directed. 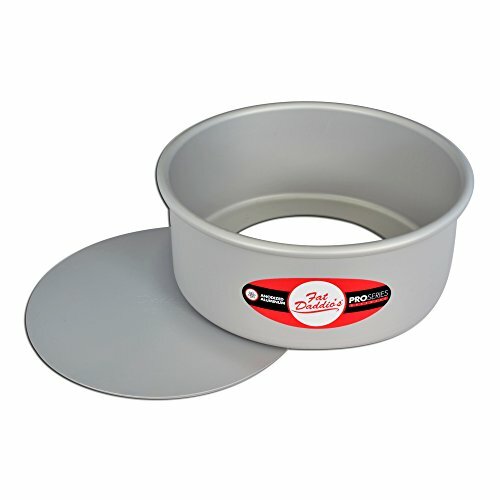 1 Prepare the pan: Line the base of a 7-inch round springform pan or 7-inch by 3-inch push-pan with parchment paper. Lightly grease the sides of the pan with butter or nonstick cooking spray. 2 Toast the pecans: Toast the pecans in a dry skillet over medium heat on the stovetop for 4 to 5 minutes until they become fragrant; watch carefully to avoid burning. Alternatively, toast the pecans in a 350°F oven for about 10 minutes, checking frequently, until toasted and fragrant. 3 Process and prepare the crust: In a food processor, process the cooled pecans and graham crackers to fine crumbs. Add the brown sugar, melted butter, and salt. Using 1-second pulses, process until the mixture resembles damp sand. Transfer the crumb mixture to the prepared pan and press firmly into an even layer on the bottom and about 1/2 inch up the sides of the pan. Use the bottom of a drinking glass to firmly press the crumbs into the bottom. Place the pan in the freezer to allow the crust to firm up a bit while you make the filling. 4 Make the filling: In the now-empty food processor, combine the cream cheese, heavy cream, pumpkin puree, brown sugar, flour, vanilla, and pumpkin pie spice. Process the mixture for about five 1-second pulses, just until smooth, stopping to scrape down the sides of the bowl as needed. 5 Pour the filling into the prepared crust. Remove the crust from the freezer and pour in the filling. Tap the pan firmly against the countertop a few times to remove any air bubbles from the filling. Place the pan on a long-handled silicone steam rack. If you are using a tall push pan, you can cover it with aluminum foil to keep any condensation off of the cheesecake. If using a springform, do not cover. 6 Pressure cook the cheesecake: Pour 1 1/2 cups water into the Instant Pot. Holding the handles of the steam rack, lower it into the pot. 7 Release the pressure and cool: When the cooking program ends, leave the pot on its default “Keep Warm” setting for 20 minutes, letting the pressure release naturally. After 20 minutes, open the pot, taking care not to drip condensation from the lid onto the cheesecake. Wearing heat-resistant mitts, grab the handles of the steam rack, lift it out of the pot, and transfer the cheesecake to a cooling rack. If you have not covered the pan with foil, use a paper towel to dab up any moisture that may have settled on the top. If the pan is covered, remove the foil, taking care not to get burned from the steam. The cake will be puffed up and jiggle a bit in the center when it comes out of the pot, but it will settle and set up as it cools. 8 Cool and refrigerate the cheesecake: Let the cheesecake cool on the rack for about 1 hour, then cover (or re-cover) and refrigerate for at least 12 hours, or up to 24 hours. 9 Prepare the whipped cream: The day you plan to serve the cheesecake, make the whipped cream. In a medium bowl or stand mixer, combine the heavy cream, bourbon, and powdered sugar. Using an electric mixer or whisk, beat the mixture vigorously (about 2 minutes on high) until fluffy and just stiff enough to hold its shape. Cover the bowl and refrigerate for up 12 hours. 10 Serve the cheesecake: If using a springform pan, run a knife around the side of the pan, then unclasp the collar on the pan and lift it off to unmold it. Use the parchment border to tug the cheesecake off the base of the pan and onto a plate. If you’re using a push pan, run a knife around the side of the pan, place a drinking glass under the pan, then gently slide the outside ring of the pan downwards. Transfer the cheesecake to a serving plate. Cut into wedges and serve each piece topped with whipped cream, chopped nuts, and a sprinkle of cinnamon. Hello! All photos and content are copyright protected. Please do not use our photos without prior written permission. If you wish to republish this recipe, please rewrite the recipe in your own unique words and link back to Pressure Cooker Pumpkin Cheesecake on Simply Recipes. Thank you! How long should it stay jiggly? I’m afraid mine is undercooked. Hi, Jen! It should set up firmly once it’s completely cooled. Hope that helps! Hi there, thank you for the recipe. Do you know how to adjust for a larger pot? I would like to try this using an 8″ pan. If you’re using an 8-inch pan (and I’m assuming an Instant Pot or similar 8-quart electric pressure cooker), the batter will be more spread out, and so the cooking time should be a bit less, as it will take the heat less time to penetrate the center of the cheesecake. I haven’t made it in this configuration so I can’t be exactly sure of the proper cooking time, but I would start with 5 minutes less (27 instead of 32) and see how that goes. Hope that helps!